For premium whole house water filters, water softener systems, and air purification systems, there is no better company for St. Louis, Missouri, residents to trust than RainSoft. Since 1953, we have provided water and air treatment solutions to homeowners throughout North America. At RainSoft, our team is committed to offering only the best systems on the market, and we achieve this by continually researching, testing, and improving our products. What’s more, we provide extensive support and maintenance even after we’ve installed our systems, enabling our customers to get the most out of their purchases. It is this complete dedication to excellence in everything that we do that has helped us become a leader in the water and air treatment industry. Airborne impurities – RainSoft air purification systems remove dust, dust mite debris, allergens, mold, mildew, bacteria, viruses, and other particulates from your home’s air. 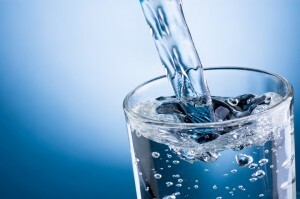 Hard water – Our water softeners reduce or eliminate the unwanted effects of hard water, including mineral and soap scum buildup; dry, itchy skin and clothing; spotty dishes and glassware; and easily clogged drains and plumbing. Unwanted chemicals – Our QRS whole house water filtration system removes volatile organic compounds, chlorine, and other impurities from your home’s water. Unpleasant odors and tastes in water – A drinking water system from RainSoft removes contaminants that can cause a foul taste or smell in your home’s water. No matter which system or combination of systems you settle on, you can rest easy knowing that all RainSoft products are fully covered by a Limited Lifetime Warranty that will protect your system for as long as you own it. In fact, you can even take your system with you after you move and still enjoy our Warranty’s protection. For additional information about the water filtration, water softener, drinking water, or air purification system products we offer in St. Louis, MO, please call an authorized RainSoft dealer near you.